Let’s start our Tesla Model 3 demographics analysis with average household income. A Tesla Model 3 owner household makes $128,140 per year. 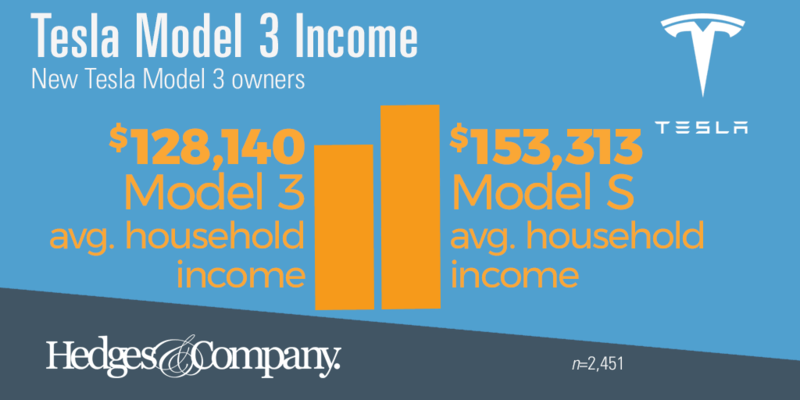 The Tesla Model S owner has an average household income of $153,313. Most Tesla owners are in California. That’s where the income is higher than average. 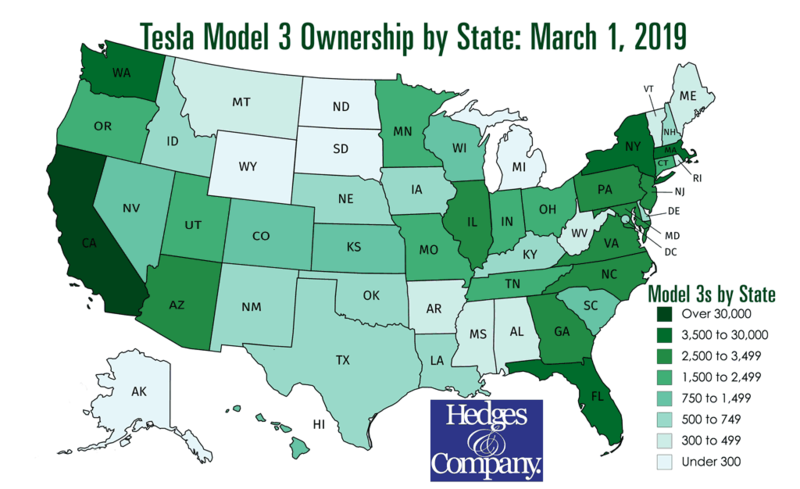 For a look at distribution of Tesla Model 3s by state, see below. The margin of error is +/-2.5%. Most Tesla Model 3 owners are in California by a wide margin. The rest of the Top 10 states for Tesla Model 3 owners are Washington at number two. It’s followed in order by Florida, Massachusetts, New York, New Jersey, Georgia, Virginia, Illinois and Arizona. The state with the least amount of Tesla Model 3s is Michigan. It is preceded by Alaska, North Dakota, Wyoming and South Dakota. At first glance, Model 3s don’t look as popular in the colder states. On the other hand, Wisconsin and Minnesota are right in the middle for popularity. 55% of Tesla Model 3 owners live in the wealthiest 10% of ZIP codes in the United States. Tesla Model S owners tend to be an older demographic. The big news: the Model 3 is selling to an important younger demographic. 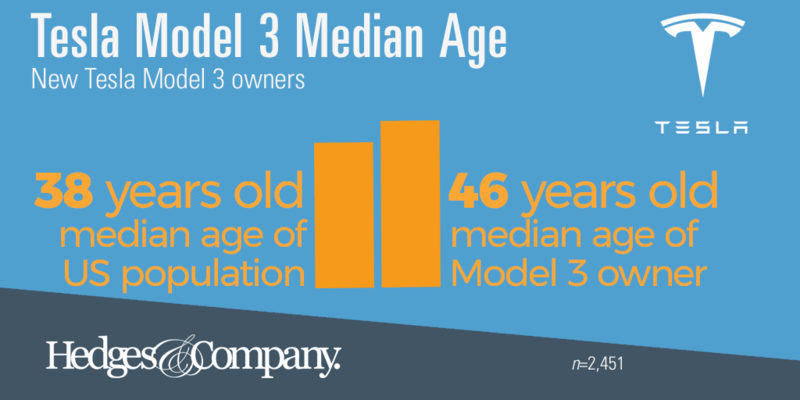 Our data shows that the median age of a Tesla Model 3 owner is 46 years old. That compares to 38 for the US population. People interested in buying a Model 3 are younger than other Tesla owners according to Quantcast. The median age of a Tesla Model X owner is 52 years old and the median age of a Model S owner is 54. Next, we looked at the gender of current Tesla Model 3 owners. 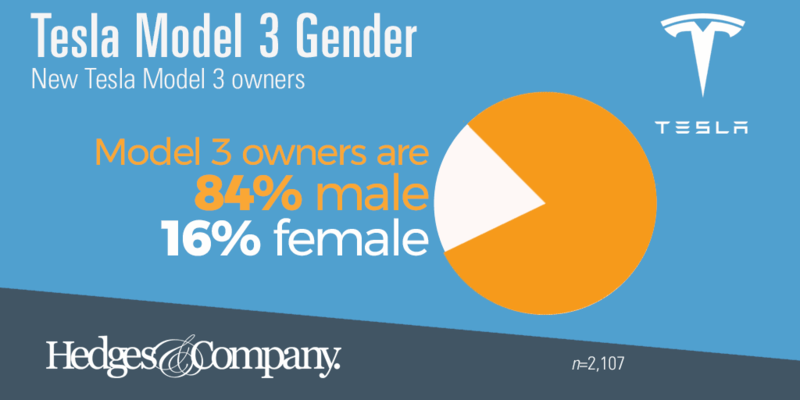 Owners of the Model 3 are overwhelmingly male. Women only own 16% of Model 3s and men own 84%. That makes the Model 3 the most “male” of the Tesla models. Males own 77% of Model S vehicles and women own 23%. Males drop to 71% for the Tesla Model X, vs. 29% female. 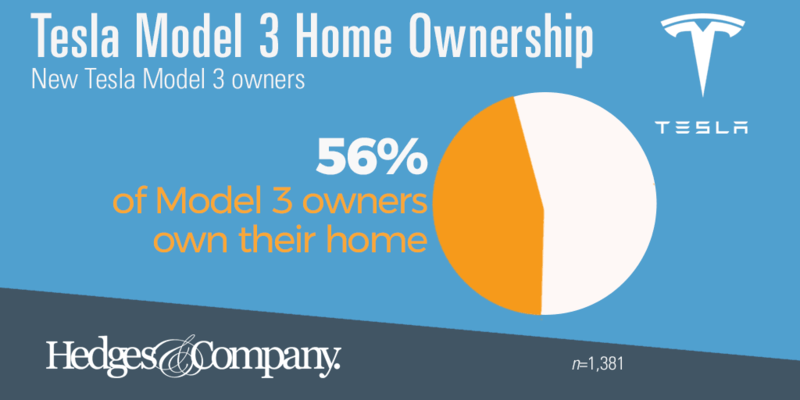 Only 56% of current Tesla Model 3 owners own their own home. 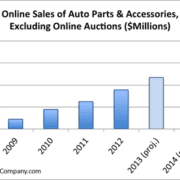 That’s significantly lower than owners of Model S or X. The percentage of Americans who own their own home has ranged between about 64% to 67% in recent years. Tesla Model 3 owners are less likely to own their home than the general population. Remember, the vast majority of Tesla Model 3s are found in California. In some California communities, renters outnumber home owners. That can skew the results for the entire country. 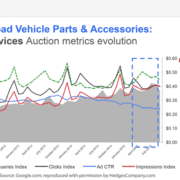 This data comes from the master vehicle owner database of 175+ million car and truck owners, which includes large amounts of consumer-level data. This is then added onto vehicle records. 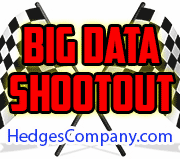 This provides a high level of accuracy when we analyze demographic data. 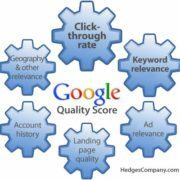 It avoids survey errors from self-reported data or other types of “sampling errors.” Most of the statistics cited on this analysis have a margin of error of +/-2.5% at a 95% confidence level. This article is copyrighted, but it’s polite to share! 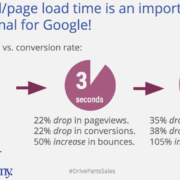 This content is licensed under a Creative Commons Attribution-ShareAlike 3.0 Unported License and can be distributed or quoted, with attribution and a link given to Hedges & Company.